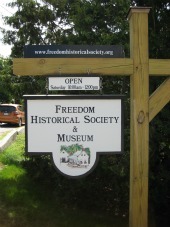 Click to join the Freedom Historical Society! The Board members of the Society hope that you will enjoy the data provided as well as frequent visual “cyber tours” on our website. As you scroll through the pictures of the buildings and the Collection, please remember that in order to preserve this wonderful array depicting Freedom’s past, we need to continue to support maintenance and preservation projects now, to insure that there will be a future for the Museum! We want to keep this website flourishing with updated information on programs and happenings, the important dates for summertime in Freedom, major needs and/or acquisitions, and every other bit of news that will help to keep the membership and the general public current on the workings of our Historical Society. Our $10 per person annual dues generates only a portion of the monies needed to cover expenses. 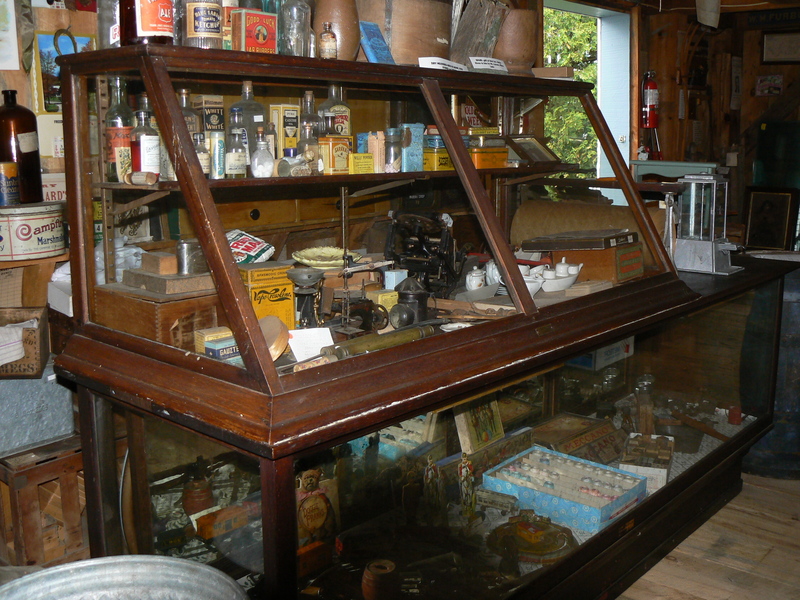 We are grateful to those of you who offer donations as well as dues, and to those who give objects or ephemera to the Collection. Over the decades, our little village has been populated by residents and visitors with great big hearts that love Freedom. We thank you all for ongoing support for the mission to make our history accessible both now and in the coming years. We regret that we cannot currently use PayPal for membership purchases/renewals or donations. Please send membership dues and donations by check, using the link at the top of this page to print out the membership form. We apologize for any inconvenience.